We’re heading towards… something. Just one day before the big Brexit vote, and with 74 days until our scheduled departure from the EU, nobody knows whether we will be cancelling Brexit, delaying it, leaving with a deal or leaving without a deal. Whichever our destiny, there are enormous risks, either political or economic. More reassuringly for LabourList readers, any path taken would seem to split the Conservative Party. Of course, Labour has its own deep and numerous problems with Brexit. The famous conference composite motion is used by every camp to argue their position, and there is little consensus on the meaning of the commitments made in September. Various pro-EU groups from across the factional spectrum have clashed with the leadership’s position on a fresh EU referendum in particular, and other issues such as free movement have angered some grassroots activists. 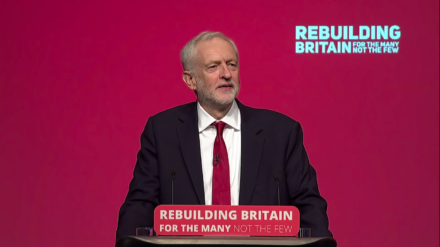 Labour MPs represent the Brexit rainbow: there’s Kate Hoey, who supports no deal; Leavers willing to vote for Theresa May’s deal; left-wing Eurosceptics reluctant to defy the whip thanks to their support for Jeremy Corbyn; Corbynsceptics and soft-lefties who campaigned to remain but represent Leave seats; People’s Vote campaigners opposing any deal in the hope they can stop Brexit; the list goes on. Back in November, the Guardian designated categories such as ‘the Labour frontbench’ and ‘Veteran Labour Brexiters’, but even those aren’t internally congruous. Labour and Corbyn are still doing better than the Tories and May on party unity, however. Perhaps this is the fate of both main parties eventually, but it’s important to note that it seems anything Theresa May does now will divide the Conservatives or bring down the government. Several ministers have openly admitted they would resign should no-deal happen; if she drives through a version of her deal, the DUP will end the confidence-and-supply agreement. Despite Labour’s many tensions, ahead of the meaningful vote taking place tomorrow, only three Labour MPs so far look likely to vote in favour of the Tory deal: John Mann, Jim Fitzpatrick and Kevin Barron. That isn’t to underestimate the Labour drama that will follow the meaningful vote. Those in favour of another referendum fully expect the leader to table a motion of no confidence in the government quickly, then move on to supporting a fresh public vote (although the composite motion only promises to keep that option on the table). Many members have expressed this assumption, including Sadiq Khan on Pienaar’s Politics yesterday, and yet this sequence of events is far from certain. Don’t be surprised when the Labour leadership continues to factor in electoral strategy and the need to gain Conservative-Leave marginals when taking its next steps on Brexit this week. Remember that our enemy is the Tories, not the man trying to win the next election for the Labour Party.